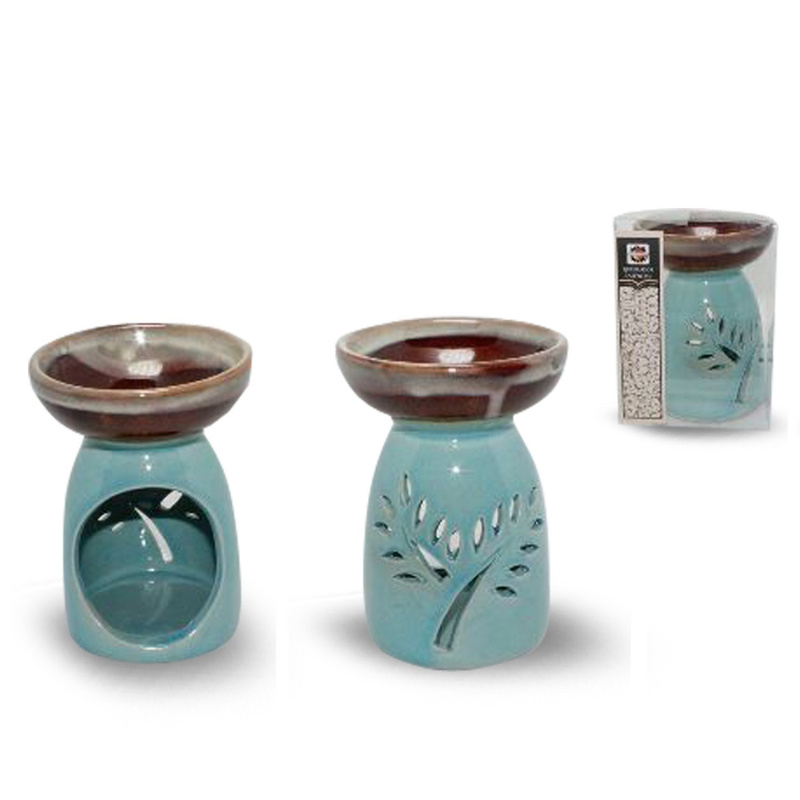 Green Tree's new aroma burners. . It’s a classic diffuser that works through a tea light. She is easy to clean and fulfills the role of a mood setter. Their Mediterranean look makes it unique. It is reminiscent of summer and has a stylish touch. 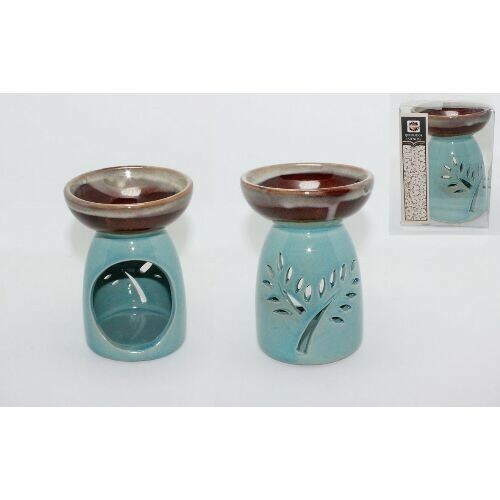 The ceramic is baby blue in color with an earthy brown scallop/aroma bowl and cut twigs. They are subtle accessories in a precious blue color. These eyecatchers are often used as decoration for the table, the windowsill or the mantelpiece. The burners are designed in such a way that they stand firmly on a flat surface. You enjoy most of the design when the candle burns and the light of the flame sparkles through the holes and shines on the wall. Not only does this give a cozy look, but also a warm feeling during the autumn and winter days. Add a warm scent and you strengthen your mind to see the positive during the dark and cold season. You fill the upper bowl with melting wax, essential oil or fragrance salt of your choice. For this products too, you will find a wide range of high-quality products in our collection. Underneath you place a burning tealight so that the heat causes the wax, oil or salt to melt and the odor spreads. During summer, this fragrance solution is ideal for anti-mosquito waxing, but you can also put the burner in the toilet or bathroom with a refreshing hammam or eucalyptus smell. Palo Santo is also an aroma that adds an extra dimension to your meditation. Fresh linen or lavender are favorites when it comes to the bedroom area, because of their feature that promotes sleep. Add a little luxury to your and your guests’ experience. Fine odors are often appreciated during massage treatments and meditation sessions. What can stimulate the senses more than a catchy accessory with the candle light twinkling on the wall?